KANSAS CITY, Mo. – Fire investigators are working to determine the cause of a fire Monday afternoon that killed a woman. Firefighters were called to a house fire just after 1:30 p.m. Monday off of E. South Ave and E. 23rd Street in Independence, Missouri. The first crews battled smoke and fire and had the fire under control less than 20 minutes later. An elderly woman was found inside the house. 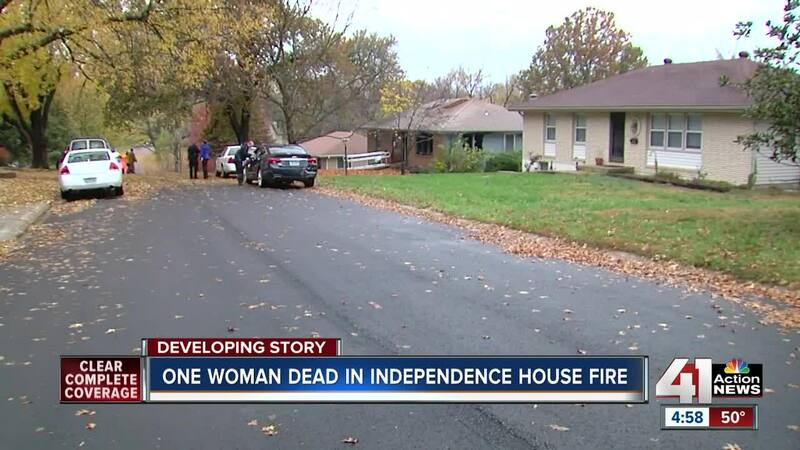 Firefighters brought her outside and attempted CPR, but she died at the scene, according to Independence Assistant Fire Chief Michael Ditamore. The woman was alone in the home. Fire damage was isolated to the living room. The Missouri State Fire Marshal’s Office is investigating the cause of the fire.